Alphacool presents the new Eisbaer LT Expandable all-in-one liquid CPU coolers featuring a more compact form factor with the same superior cooling performance like the Eisbaer Series. Its water block uses extremely fine fin structure to dissipate heat more effectively. 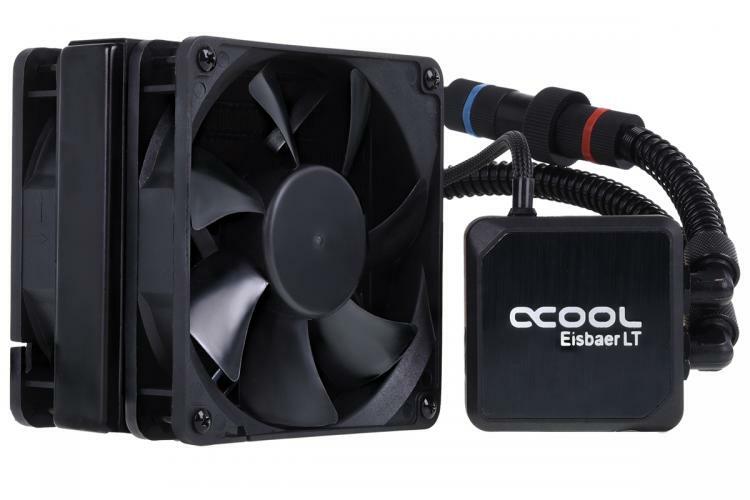 The Alphacool Eisbear LT Series comes with the popular DC-LT Low Noise Ceramic Pump. It also features the Quick Release Connectors offering the expandability option along with a brushed aluminium plate and silver logo on the water block to give it a premium look. 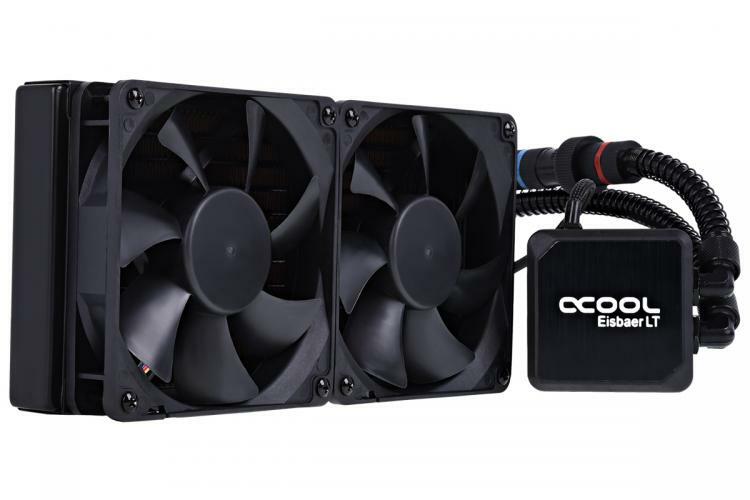 CPU Cooler: The compact Eisbaer LT’s cooler has a copper bottom with an extremely fine fin structure. Quick Release Connector: Equipped with a quick-lock mechanism, the “Eisbaer” can be effortlessly expanded with further components. 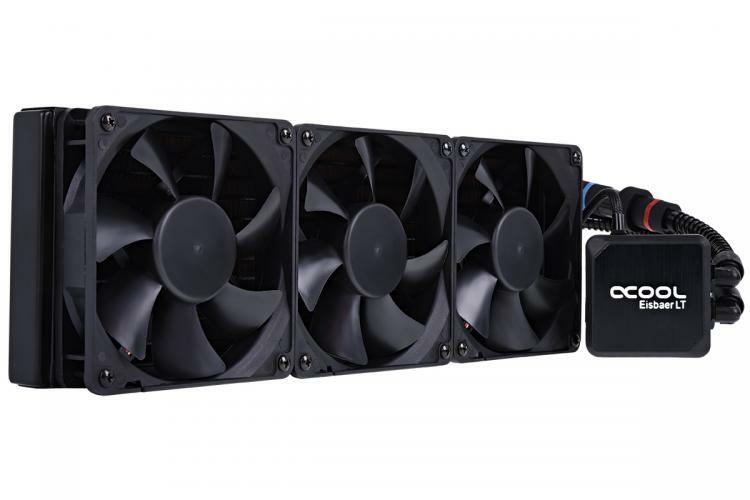 Slim Radiator: The Eisbear LT Series uses 25mm thick radiators offering better compatibility. Standard Fittings: It uses the standard G1/4 inch threads to support other water cooling components with ease. Eiswind Fans: The “Eiswind” fans can be regulated between 550 to 1700 rpm, which allows for a wide range of adjustment to the fans. The Alphacool Eisbear LT Series is offered in three models; Eisbaer LT120, Eisbaer LT240 and Eisbaer LT360. The Alphacool Eisbear LT Series are now available at the Alphacool and Aquatuning webstores. See pricing below.